Elizabeth Catlett Residence Hall — like its eponym — refuses to remain invisible. 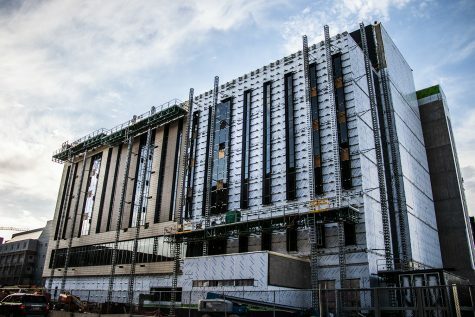 University of Iowa officials have dubbed the brand-new 12-story Catlett the “Lantern on the River.” It rises above brick buildings and leafy green treetops, and its location on Madison Street permits views overlooking the Iowa River that span across acres of city and campus land. Catlett opened to the public on July 28 with a dedication ceremony and guided tours. 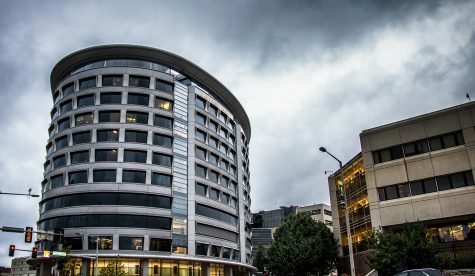 Petersen was the most recent residence hall to open on campus. It opened its doors in 2015. 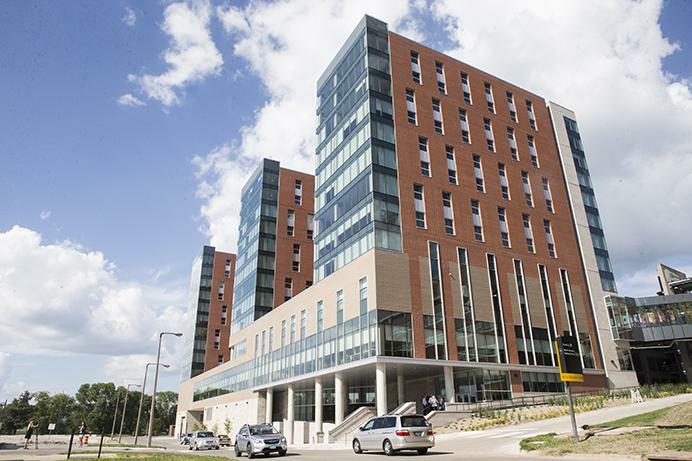 The building was named in honor of UI alumna Elizabeth Catlett, a sculptor and printmaker, and the legacy she left behind. Catlett was an African-American woman who was one of the first of three students to graduate with a M.F.A. from the UI, in 1940. 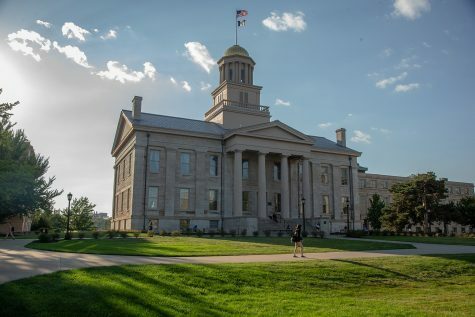 “It’s really more than just a building; it’s truly a representation of a woman who dedicated her life, who chose to come to the University of Iowa when perhaps other institutions said no,” UI Vice President for Student Life Melissa Shivers said. 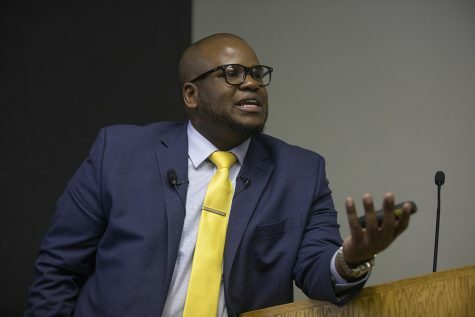 Although the UI offered Catlett admission, Catlett’s son, Francisco Mora-Catlett, said she was unable to live on-campus during her time as a Hawkeye. With the help of her main instructor, Grant Wood, the famed painter of American Gothic, Mora-Catlett said his mother created art that reflected the experiences she knew best: her experience in a segregated world dominated by white men. “From not being able to be in the dorm, and now there’s a hall named after her, that’s tremendous growth,” he said. 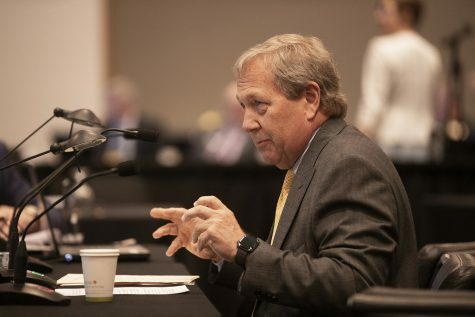 UI President Bruce Harreld said Catlett serves as a beacon of hope for everyone, a woman with values that align with the university’s, one of those being the right to access a world-class education. 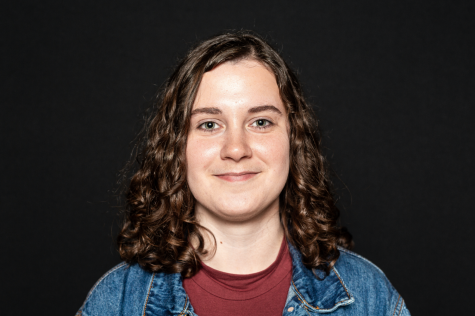 Although the opening of the residence hall solidifies Catlett’s legacy, Fred Cherry, a UI student who will be a resident assistant living and working in Catlett Hall, said he hopes it is not where progress stops and does not become another lifeless building in which students live. Every day, Cherry said, students need to be educated about Catlett’s identity and achievements. 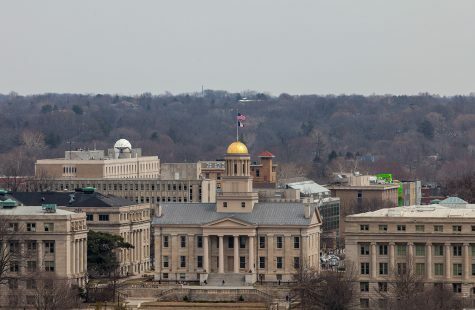 According to the Residence Systems Governance Report delivered to the state Board of Regents in February, UI enrollment is expected to reach 34,815 students over the next five years; 33,334 students were enrolled in fiscal 2017. 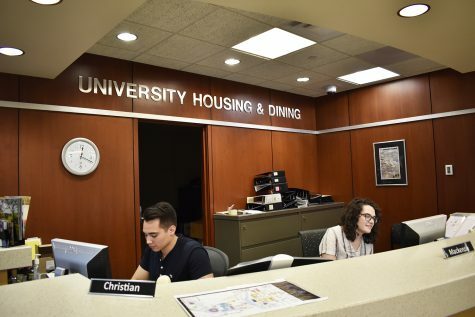 UI Assistant Vice President for Student Life Von Stange, the head of Housing & Dining, said the addition of Catlett will enable the UI to house 6,863 students on-campus, allowing the university to meet occupancy needs for the next few years and eliminating the need for expanded-housing options in lounges in the residence halls. 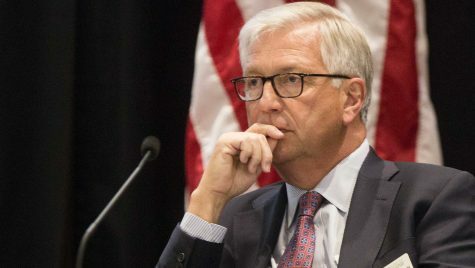 Former UI Vice President for Student Life Tom Rocklin’s efforts to cultivate a culture of student success — a term UI officials said he essentially created — remain a part of Catlett Hall’s foundation. Stange said the third floor — which serves as Catlett Hall’s lobby because it is level with the T. Anne Cleary Walkway — is home to the Thomas R. Rocklin Student Success Commons, which is equipped with study rooms and a seminar room in which classes can be held. There is also a recreation center nearby. 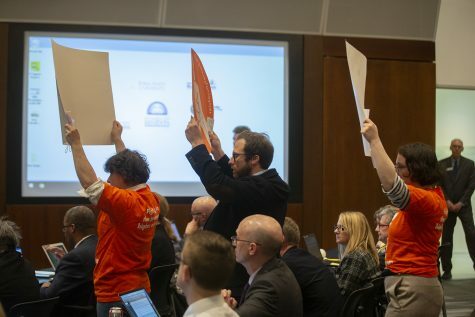 A third dining hall, Catlett Marketplace, will occupy the second floor of the residence hall, and Stange said it will, hopefully, remove some of the pressure from the other marketplaces. Stange said food is prepared in each section of the dining hall rather than inside a prep kitchen. Breakfast will be served all day, and students can make their own burgers during the day or after hours, when the hall is open from 9 p.m.-midnight.